More than 2 million people are in US prisons and jails. The number of incarcerated non-white people is disproportionately high – Amnesty International predicts that one in three black men will go to prison or jail if current trends continue. Mass incarceration is a human rights issue that has been widely discussed in the US. Many laws have been overturned and practices have been changed as a result of people speaking out. 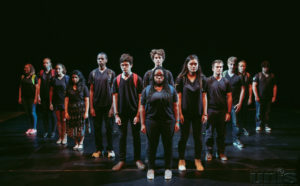 To make a stand, last year, IB Diploma Programme (DP) theatre students, at United Nations International School (UNIS) in New York, US, created a play as part of the school’s Picture Justice project. Through dance, song and movement, students told the different stories of people formerly in prison and highlighted the inequalities in the US criminal system. For example, one scene focuses on the true story of Kalief Browder. 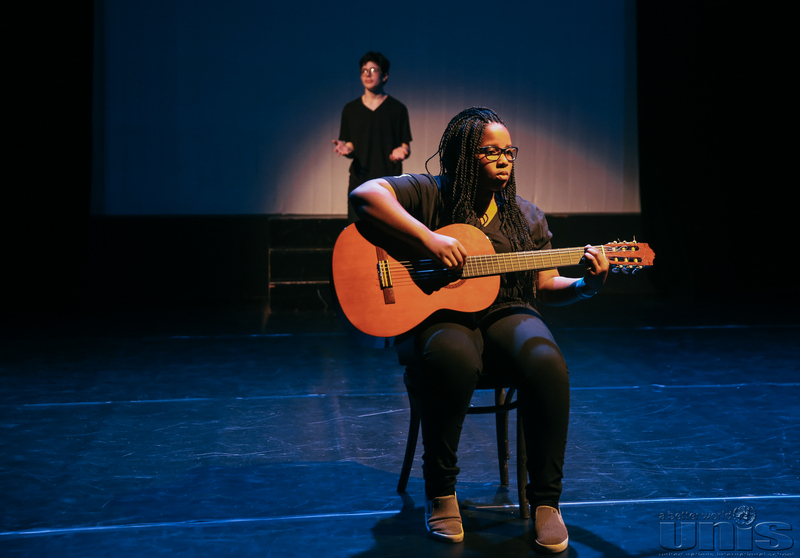 The seven-minute piece is scripted from a New Yorker article that highlighted the horrors of solitary confinement, and exposed problematic youth incarceration laws and the needless loss of a life. Some of the scene is presented as a live reading of the article while other moments are portrayed through movement. 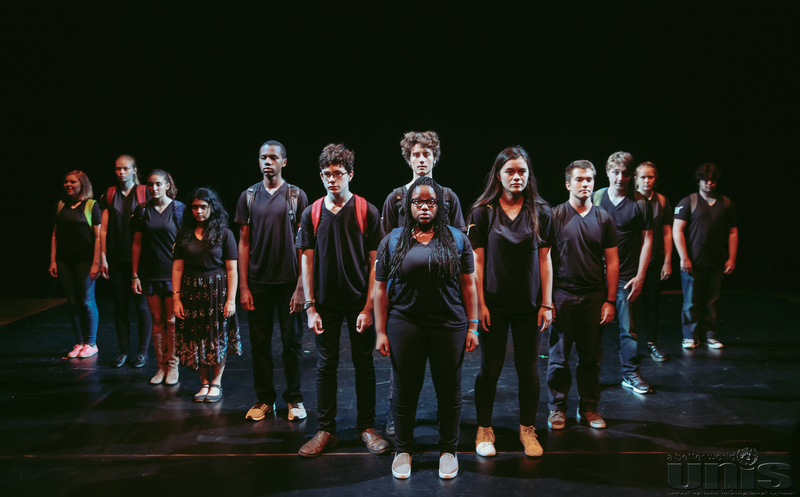 “Creating this production gave our ensemble members a much clearer understanding of the human impact of mass incarceration and it gave them the confidence to speak about it with their peers and in front of large assemblies of adults who have varying opinions on the topic,” says Head of Theatre and Performing Arts Kiara Downey. The Picture Justice project was originally initiated by the DP Global Politics Teacher Abby MacPhail as a way for high school students to study social justice issues through first-person interviews and portrait photography. MacPhail partnered with Downey who took the lead on the performing arts element of the programme in 2014. Students only had eight weeks to complete the play. They adapted transcribed interviews and created the play using verbatim stories, video recordings, and a selection of newspaper and magazine articles. Some members of the ensemble met with people who had been previously imprisoned and activists involved in the effort to stem the issue. 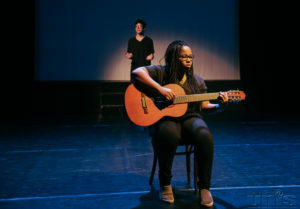 The play was also performed for artists and educators at the 2016 New York University Forum for Arts in Education (NYU), and it was a huge success. Higher Level IB Theatre student Eva Kashuk worked with Downey as the student director, and has since gone off to college with the intent to major in a social justice programme. She also hopes to continue her work in an outreach theatre. Other Picture Justice students have since spoken at local meetings and joined community activists to instigate change. Three new IB theatre students joined the class so they can be a part of next year’s project, and others have enrolled in the DP global politics class to study social justice issues. This year, the Picture Justice project is focusing on immigration in the US. 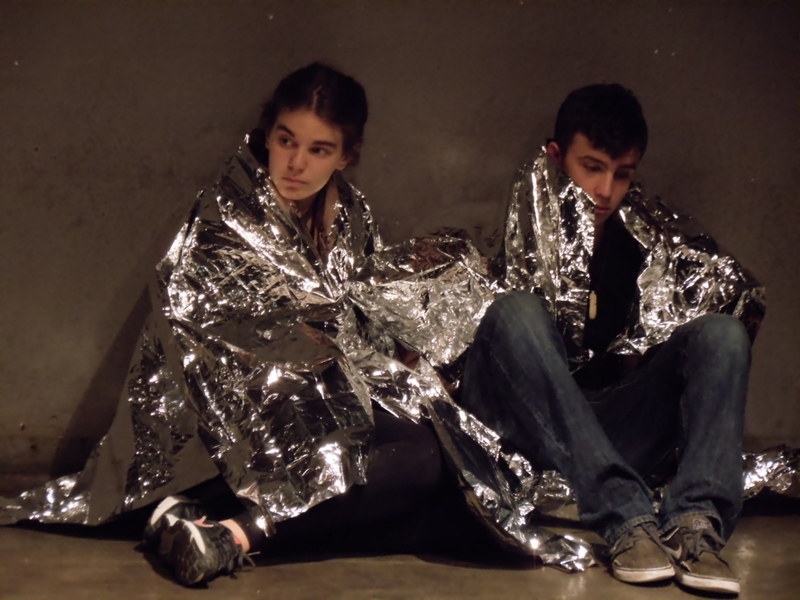 The Moraitis School in Athens, Greece, also used theatre to highlight a topical issue – the refugee crisis. So far, the school has risen approximately €1,000 in proceeds for Solidarity Now, an organization that provides legal and psychosocial support to refugees in Thessaloniki and north Greece. 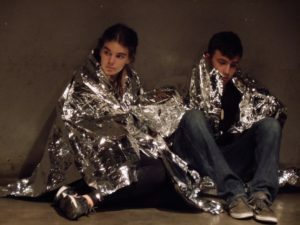 The Sea – or Syria play, which was first performed at an Athens arts centre, highlights the moment when Europe ‘closed its doors’, leaving 58,000 refugees trapped in Greece. The play tells the story of a Syrian family who make some very serious compromises to get across the border into Turkey. They pay smugglers to take them by boat to one of the Greek islands, only to become stuck in the squalid conditions in the Idomeni camp. “The refugee crisis was so big and important, and very much in the news in Greece. It seemed an obvious thing to do but at the same time when I started it, I didn’t realize it was going to become such a big topic,” says former DP Theatre Teacher Anthony Stevens. 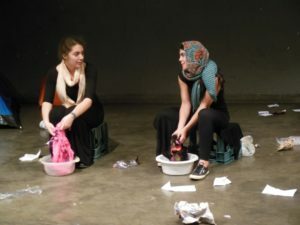 The play wasn’t sensationalized with a happy ending, as it dealt with the real-life plight of refugees, also highlighting the many who have drowned. There are many characters in the play, and students played refugees from Iraq, Afghanistan, and Bangladesh. They also looked at the difference between refugees and economic migrants. The Sea – or Syria took approximately five months to plan and required students to research the crisis in great, and often painful, detail. Students visited the government-run Elaionas refugee camp in Athens, and the unofficial refugee camp in Piraeus port, and would take food and toys. We learned a lot from the conversations we had and this really helped inform the play. Students also studied the news. They found as many stories as they could and tried turning them into scenes,” says Stevens. 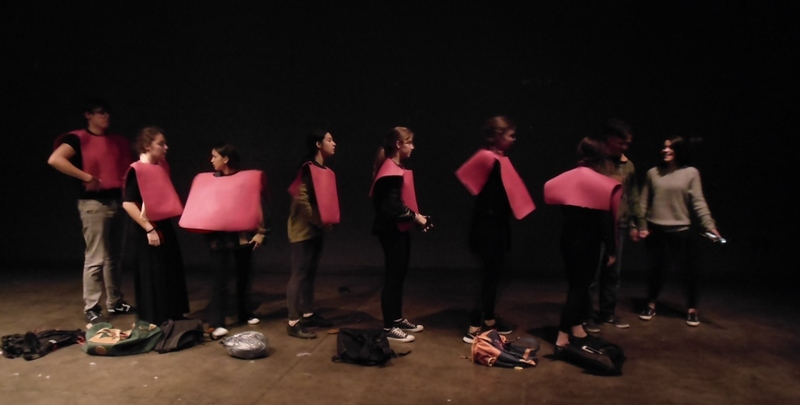 Performing something with real-world relevance helped students to think about how theatre connects to wider issues. “The idea was to create a play where they could explore what theatre was all about and what effects are possible through a play. We looked at questions such as, is theatre just for entertainment, or can it be used as a tool that can give us a perspective on the world? “At the same time, students could comment on the real world and make a difference by raising money and awareness,” says Stevens. 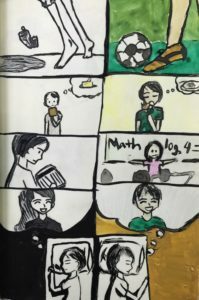 The students report being transformed by this process, not only in their knowledge and understanding of the situation but in deeper, very personal ways. The response was so positive that the play was performed again in an open-air municipal theatre and in the Benaki Museum. On the other side of the world, in China, Beijing National Day School’s DP English students made a public service announcement (PSA) campaign to increase awareness of the plight of Syrian refugees as part of their study of mass media. They partnered with the United States Committee for Refugees and Immigrants (USCRI), a resettlement organization. To prepare, the class spent three days studying articles, listening to interviews and reading blogs about the Syrian refugee crisis. They also shared reflections, explaining what it might be like to be forced to leave their homes. Students watched PSAs and used visual text interpretation and analysis to inquire about what made them particularly effective. With this information, they worked in small groups to design their media campaigns. Various print and video PSAs were created – students shot, compiled and edited all of the footage, and composed original music. USCRI selected one PSA to feature on its Facebook page. Students are continuing their efforts to raise awareness by selling a poetry anthology, which includes several compositions about Syrian refugees that they created. “Besides serving as an exceptional CAS project, the final 120-page volume continues to give voice to the global challenges faced by Syrian refugees while simultaneously raising funds for local challenges here in Beijing. In their business plan, the students outline how all funds will be directed toward an organization that provides education for children with incarcerated parents,” says Goetz. I continue to be impressed by my students’ devotion to authentic work. They motivate me to be a better teacher and remind me why teaching is the best job in the world.